Cosatu’s decision to bar President Jacob Zuma from all its events, the South African Communist Party’s (SACP) campaign for a judicial inquiry into state capture, the SA Council of Churches report on its unburdening panel, pressure from ANC stalwarts and veterans for a consultative conference and the running circus at Eskom over the return of the prodigal son Brian Molefe. It is difficult to see how the ANC will make it through this weekend’s national executive committee (NEC) meeting without all these issues colliding around renewed demands for the party to recall Zuma from office. The evidence of the president being heavily implicated in the capture of the state by the Guptas is incontrovertible. But can the ANC pull the trigger? By RANJENI MUNUSAMY. As much as Cosatu and the SACP resented former President Thabo Mbeki, they had never, at any stage, banned him from their events. Mbeki had the good sense to know there was hostility towards him from the left, and never tried to pretend otherwise. But Zuma has always believed himself to be the champion of the tripartite alliance. His campaign for the ANC presidency was successful because Cosatu and the SACP supported him and gave him platforms to speak even when he was a pariah in his own party. It was bad enough that both the SACP and Cosatu took decisions that Zuma should step down as president. It is a flying kick to the nether regions that one of the alliance partners is campaigning for a judicial commission of inquiry into the activities of Zuma and his friends, the Guptas, and the other partner has “uninvited” the president to all their future events. If this is the approach of the ANC’s allies, imagine how the rest of society feels about the president? But even when Zuma was booed and heckled at a May Day rally in Mangaung, the president and his defenders consoled themselves in the belief that the people who did so were bussed in to the rally and were not representative of the membership of Cosatu. The decision by the federation’s special central executive committee that Zuma “will no longer be welcome to address Cosatu activities” is therefore a reality check for the president. This is an extraordinary move by Cosatu and aimed at intensifying the pressure on the ANC to deal with its president decisively. “This shall be communicated to the ANC, including engaging on its implications for our alliance,” Cosatu said. The ANC said in a media statement on Tuesday afternoon that they had not received any formal communication from Cosatu in this regard and would not comment until there was engagement with their alliance partner. It is not as if the ANC can do anything about this ban. Like with other requests they have received for Zuma not to speak at events and funerals, the party can only swallow its shame. Also on Tuesday, ANC stalwarts announced that they would be sending a letter to the party’s NEC to express their views on the crisis. At a media briefing following a meeting of the ANC’s veterans and stalwarts, the group said they were concerned that there appeared to be no equivalent feeling from the ANC about the extent of the crisis and growing agitation in society. The stalwarts and veterans have been frustrated by the ANC leadership recanting on a previous decision by the NEC to hold a national consultative conference to unpack and deal with the crisis. They decided to address a letter directly to the NEC to petition the committee to hold a consultative conference separate from national policy conference in June. The stalwarts also want the NEC to revisit a previous discussion to recall the president. Speaking for the group, Murphy Morobe said the SACC report on its Unburdening Panel had presented a picture of the machinations of state capture. “The NEC has to step up and play its role as required by the ANC constitution,” Morobe said. At an NEC meeting in November last year, a protracted debate ensued over calls to force the president to step down. This followed the release of the Public Protector’s State of Capture report and attempts by the National Prosecuting Authority and the Hawks to charge former finance minister Pravin Gordhan with fraud. Several NEC members led by Derek Hanekom and Aaron Motsoaledi motivated that the president should step down because he was heavily compromised and bringing the ANC into disrepute. Zuma’s supporters argued against putting the matter to a vote and the president survived the manoeuvre. There are growing calls for the NEC to revisit the issue at its meeting this weekend in light of Zuma’s actions to reshuffle the Cabinet after snubbing the other ANC top officials and the increasing amount of evidence of the Guptas interference in the state for financial benefit. Since the last NEC meeting in March, Zuma fired Gordhan and former deputy finance minister Mcebisi Jonas after telling ANC officials that they were plotting against the country according to an intelligence document he had. The document turned out to be fake and Zuma and State Security Minister David Mahlobo are now denying its existence. But the NEC will be the opportunity for a proper discussion on this matter as three of the ANC officials, Cyril Ramaphosa, Gwede Mantashe and Zweli Mkhize already spoke publicly about their opposition to the reshuffle and Zuma’s reliance on the bogus report. While Zuma is playing a game of dodge in the courts over the document, the officials can make sure he does not do the same in the NEC by confirming what he told them before the reshuffle. With so much evidence stacked against Zuma and sentiment swaying against him, surely the NEC ought to put the ANC, the alliance and the country out of its misery by forcing the president to step down. Some ANC leaders, including Mantashe, have argued that their Members of Parliament should not vote according to conscience in favour of the opposition’s planned motion of no confidence against Zuma. Mantashe said this would be a betrayal of the ANC and the party needed to deal with its problems internally. There is no better opportunity for the ANC to do so than this weekend. But there does not appear to be any serious discussions or planning amongst NEC members opposed to Zuma. The determination and anger that existed in November seems to be absent now. Hanekom was among the people axed in the Cabinet reshuffle and there is a belief that he cannot lead the charge again as it would seem that he is personally aggrieved. The same would apply to Gordhan and Ngoako Ramatlhodi, who have both spoken out against state capture and have lost their jobs in the reshuffle. For a new manoeuvre to succeed, the big guns including Ramaphosa and Mantashe need to go for the kill. But the mood does not seem conducive to them doing so. Some NEC members are concerned that there has not been sufficient coordination and consultation with ANC structures and a move to unseat Zuma could result in a backlash, particularly for Ramaphosa’s campaign for president. While there have been many resounding calls from outside the ANC for Zuma to go, there is worry that ANC members are not saying so. The crisis in the ANC and the country is spiralling out of control, as exemplified by the fiasco over Brian Molefe’s return to Eskom as CEO. The ANC is clearly annoyed by Molefe’s flight of fancy from its backbench in Parliament back to the power utility but no longer has a say in the affairs of the state. The ANC has the opportunity to seize control this weekend but while all these issues are likely to be raised, it is unlikely that Zuma would fall on his sword by the end of the meeting. While Zuma might survive the NEC meeting this weekend, he is becoming more of an outcast with each passing day. Zuma is increasingly confined to high security state events, particularly in KwaZulu-Natal, where he is unlikely to be booed. The political space around him is closing. He has to hide from the very people he is supposed to lead. 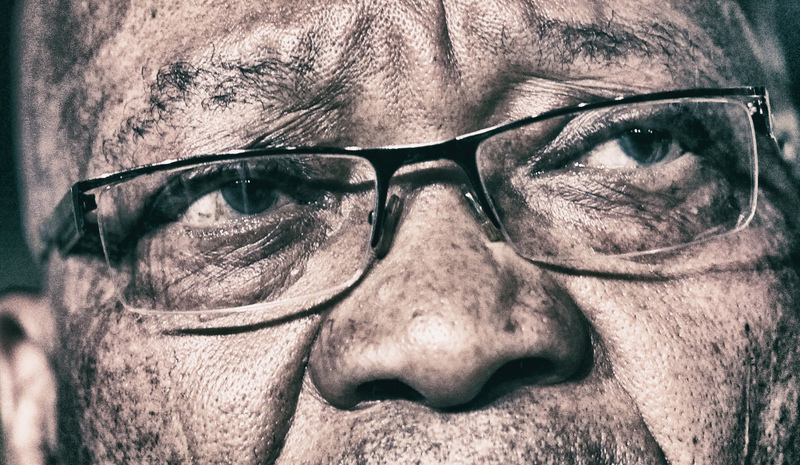 The ANC NEC might think that it is sparing itself from internal repercussions by not taking on Zuma but the damage to the party is now so extensive that it is reaching a point of no return. By the time the ANC purges itself and the country of Zuma, there could be a complete breakdown of trust and confidence in the party.